Samsung Electronics unveiled its new design approach with the Galaxy Alpha. 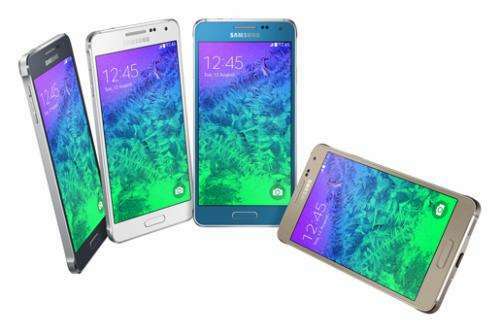 The latest addition to Samsung's Galaxy smartphone line, the Galaxy Alpha features a sophisticated design in a carefully constructed compact body with a metal frame and a solid finish, while still maintaining the flagship Galaxy experience. Elegant and practical, the Galaxy Alpha is the optimal convergence of style and cutting-edge technology. "The Galaxy Alpha was built and designed based on the specific desires of the consumer market," said JK Shin, CEO and Head of IT & Mobile Communication at Samsung Electronics. "With an entirely new appearance, the Galaxy Alpha focuses on both beauty and functionality combining a stunning metal frame and slim, light weight design with the same powerful hardware and features users expect from a flagship Galaxy mobile device." Why does that phone look so good, oh yeah, at first I thought it was the iPhone.